We, so far, have the ability to stay with our patient until final confirmation of tip placement...so we wrap the arm and the PICC in such a way as to avoid catheter contact with the skin...then wrap the arm in sterile towels. We get a portable x-ray within 15 minutes...usually sooner, so...we do advance the catheter if necessary. If the catheter stays in contact with the skin under just a small dressing, I'm not sure that advancing at all is acceptable...I don't have any proof literature, however. You might consider ECG guided tip location, a technique that gives you immediate feedback rather than incurring the delays (and expense) of CXR's. If you look at www.cja-jca.org/cgi/content/full/53/10/978, the P wave of an ECG can document tip location with a high degree of accuracy in real time. 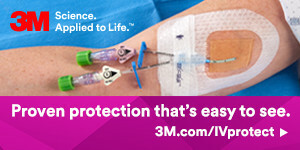 The technique has been available since the 1940's, popularized in Europe by BBraun (see their Certofix catheters - www.cvc-partner.com) and in the U.S. (www.Pacerview.com).